At SmartPOS we provide our customers with complete POS system solutions. Hardware, software, support, training, warranty, and credit card integration are all of the essential pieces that make up our Point of Sale systems. 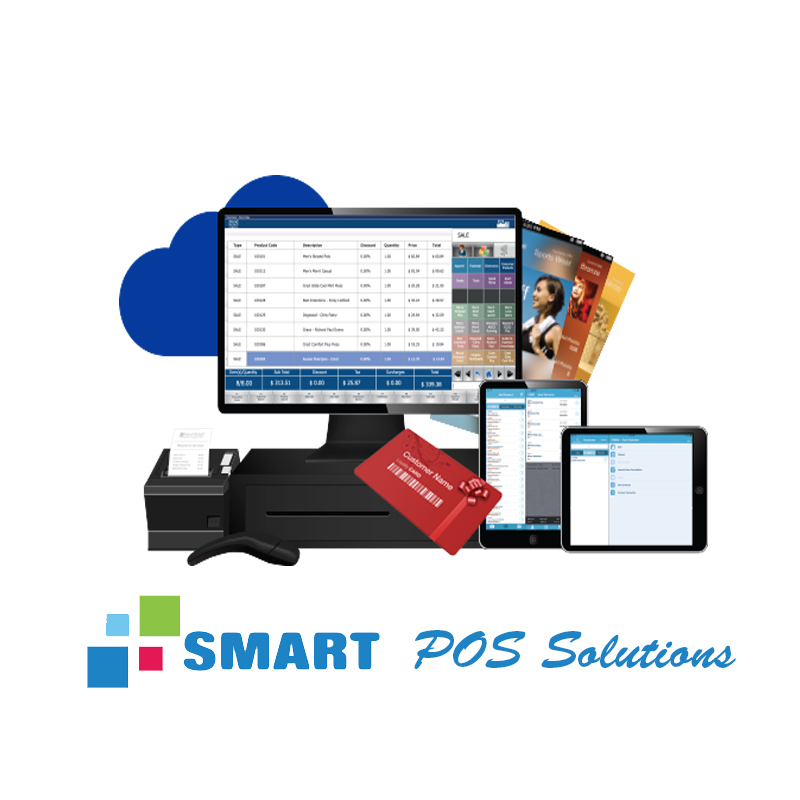 At SmartPOS we provide our customers with complete POS system solutions. Hardware, software, support, training, warranty, and credit card integration are all of the essential pieces that make up our Point of Sale systems. Our friendly and knowledgeable staff help by walking you through the process from concept to completion. Making it easy for you to choose what POS components really are necessary for your business to be successful. Whether you have a retail store, restaurant, quick service business, or grocery store we have a powerful, yet simple to learn, POS software available for you. Our touch screen POS systems at SmartPOS come with free 24/7 support, and free payment processing integration with most merchant services. We offer a 2 year overnight replacement warranty, one to one training, and plug-n-play pre-configuration. All of our POS hardware is name-brand and brand new. With our top selling POS software you can be assured that we have the best POS system in the market. Our Retail POS systems and software solutions allow you to manage simply and effortlessly all your business processes directly from the back office. From pricing, to inventory management, to analyzing sales and vendor performance, to managing offers and campaign, all data and information are delivered instantaneously across the whole organization giving you a real-time overview of your business. Powerful stock control With detailed information from customer sales, you can easily manage your inventory and find the right product mix to meet sales goals and maximize revenue for each one of your stores. Increased checkout speed & flexibility With detailed information from customer sales, you can easily manage your inventory and find the right product mix to meet sales goals and maximize revenue for each one of your grocery stores. Express billing, KOT order, Table order, Takeaway, Delivery, Staff, Complementary, Wastage, Credit sales, Credit cards, Bill on hold function, Recall hold bills, Discount minus (percentage), Discount plus (percentage), Manual minus (Total bill), Manual plus (Total bill), Slip Print, Return, Void and cancel etc. Synchronies with ALPHARESTO, Purchase Orders ,Goods Receipt Voucher, Purchase Invoices , Purchase Returns, Stock Transfers, Stock Adjustments, Store and Stock Management, Item Master , Department and Category wise Item Packing , Item Assembly, Reorder Levels, Sales Updating from POS systems ,Recipe Management with items assembly, Batch processing, Costing and more. Order taking, Print KOT in the Kitchen, KOT Departmental printing configuration, Table Order, Quick service, Take away, Kitchen Cooking comments on KOT, Cancelling order.